12 Days Of Holiday Music: Day 1 - "All I Want For Christmas"
If you're like us, then you're overcome with extreme joy that Christmas is only 12 days away. Sure, Advent Calendars begin the celebration on December 1st, but the real excitement for us begins today. Why is that you ask? Well, starting today, we're celebrating the holidays in true a cappella fashion...with a countdown! From now till December 25th, we'll be featuring twelve of our favorite holiday videos. To get things started, we're highlighting a holiday standard that's been typically at the top of every Christmas playlist since 1994. That's right, Mariah Carey's "All I Want For Christmas Is You." 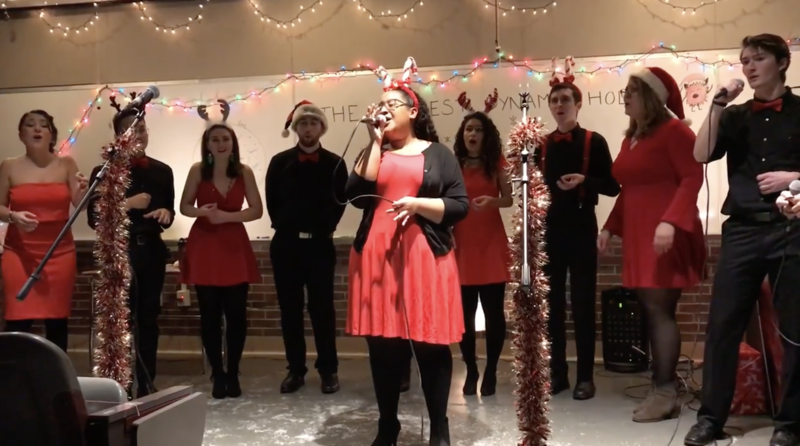 And this rendition by the UMass Dynamics features just as much fun, power, and holiday cheer as any other cover of the song. The subtle opening gives the group's lead a chance to simply shine as she demonstrates some killer riffing skills. As the video goes on, viewers can easily see how much fun the backing group is having with the performance, which helps to maintain energy. And the ending, well, you'll just have to see it for yourselves. It's a riot.